As Summer is coming to an end, it is actually more enjoyable to grill out here in Texas. Lucky for us, we can pretty much grill out year-round. 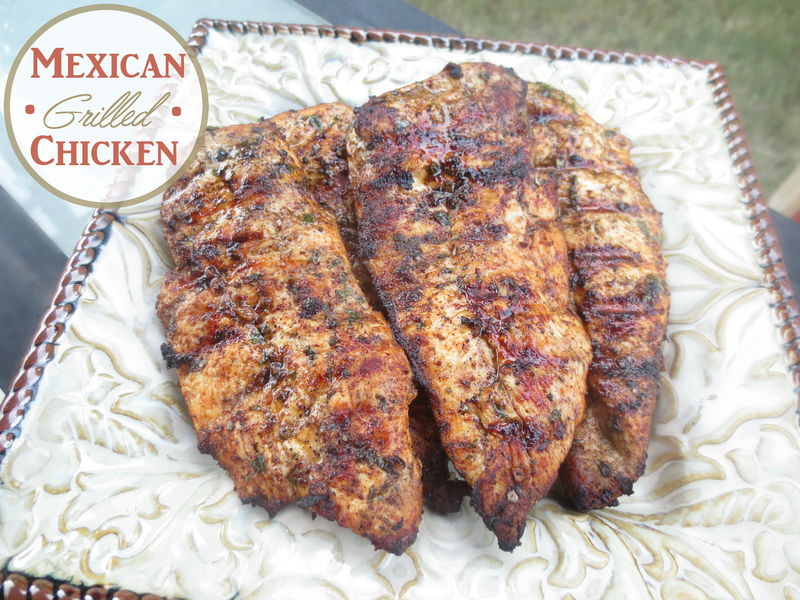 I love to make my own marinades or anything we grill, and this is one of my favorites. It's so simple and easy to throw together, and tastes incredible on chicken. I also have done steak this same way for fajitas, and it's out of this world. I bet you have almost everything for it already on hand, so next time you want to switch it up - give this a try! Mix everything except for the chicken in a medium size bowl until evenly combined. Add the chicken and move it around in the marinade until evenly coated. Let marinate for 4-6 hours and then grill until the chicken is cooked through and the juices are no longer running pink.